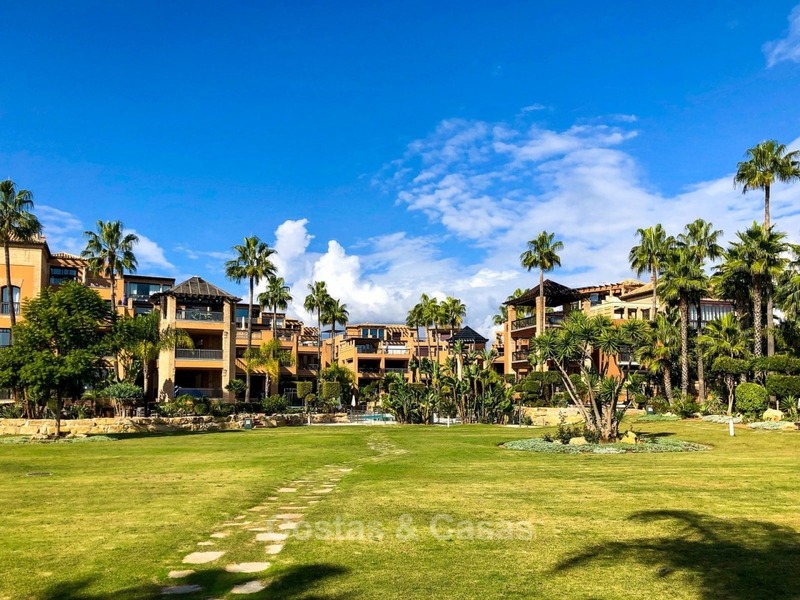 Opportunity: For Sale Apartment in Gran Marbella: frontline beach complex Gran Marbella is one of the most prestigious beachfront residences in Marbella. 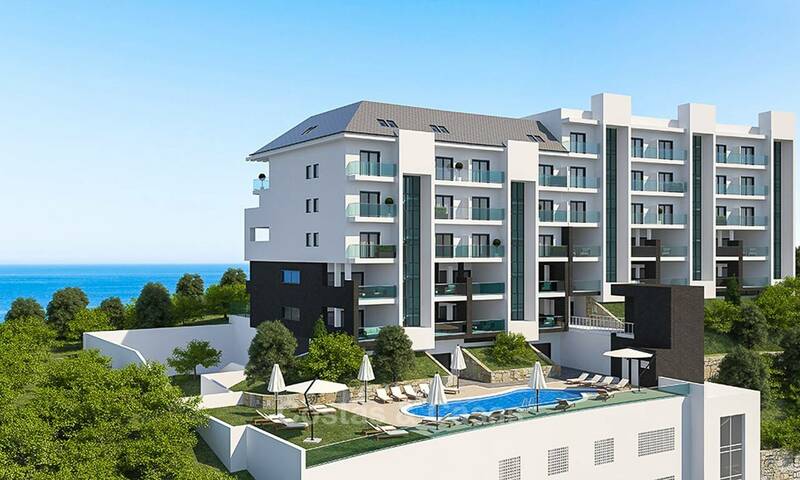 It is located in the city centre with direct access to the beach promenade. It is a walking distance to the old town and historical centre, to numerous restaurants and cafés along the promenade and to all amenities. The apartment is southwest facing! This means it is located on the most desired side of this building, offering tranquility, bordering a picturesque little river with a pedestrian walkway and looking at the green valley which is quit unique for being in the city centre. It is truly a lovely location. Very competitively priced for a quick sale. 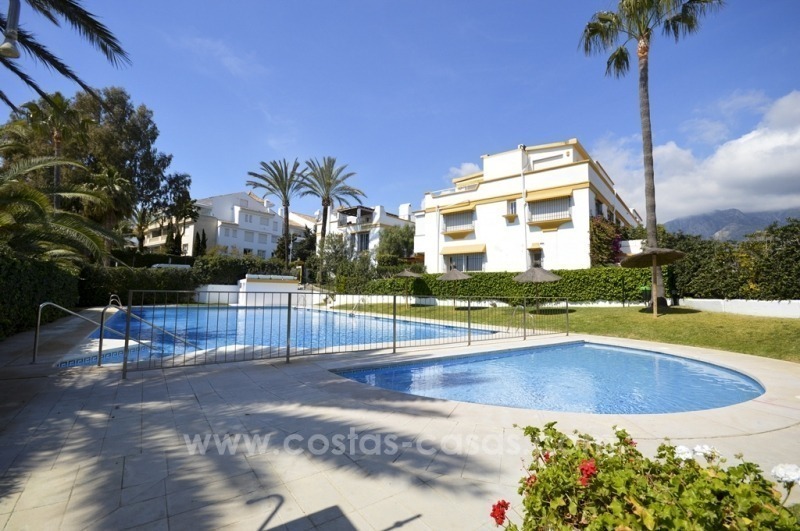 Beachside Townhouse for sale on the Golden Mile, Marbella Great 4 bedroom townhouse located in an excellent beachside community on Marbella’s Golden Mile. The community comprises of landscaped tropical gardens, a swimming pool, children’s playground and tennis court. 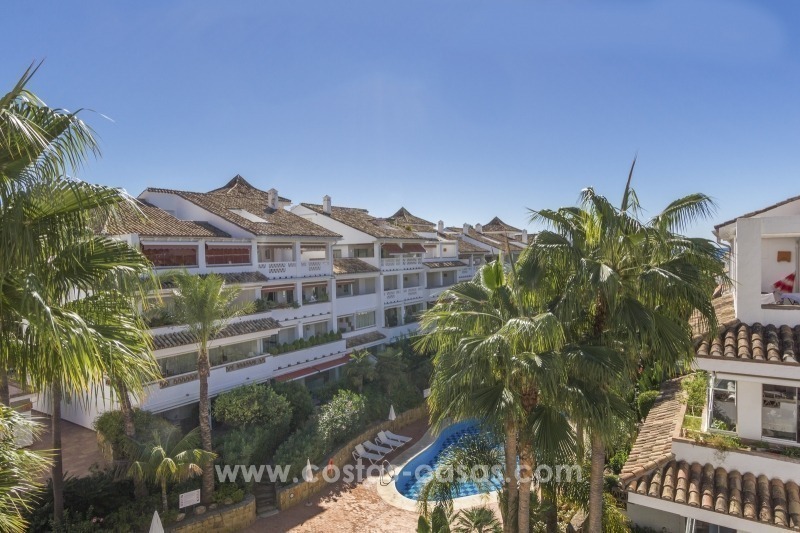 This townhouse is only a short walk away from restaurants, cafés, supermarkets and other amenities as well as from the beach walk promenade and the center of Marbella. Roof terrace with bbq. 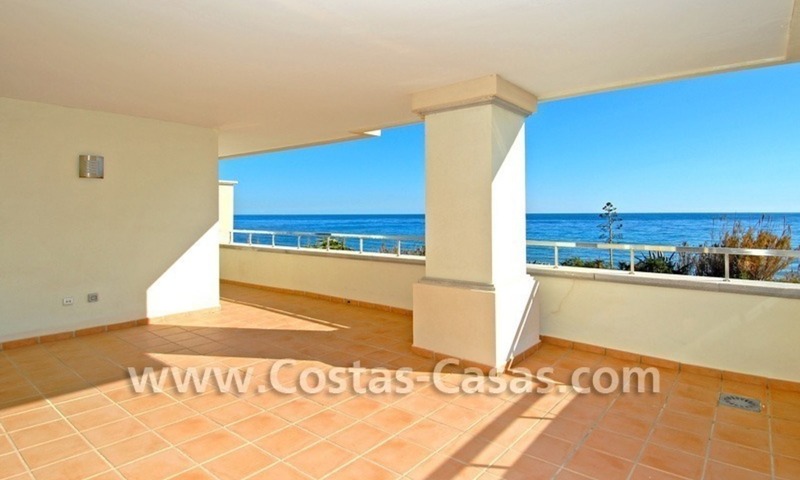 The property has partial sea views. 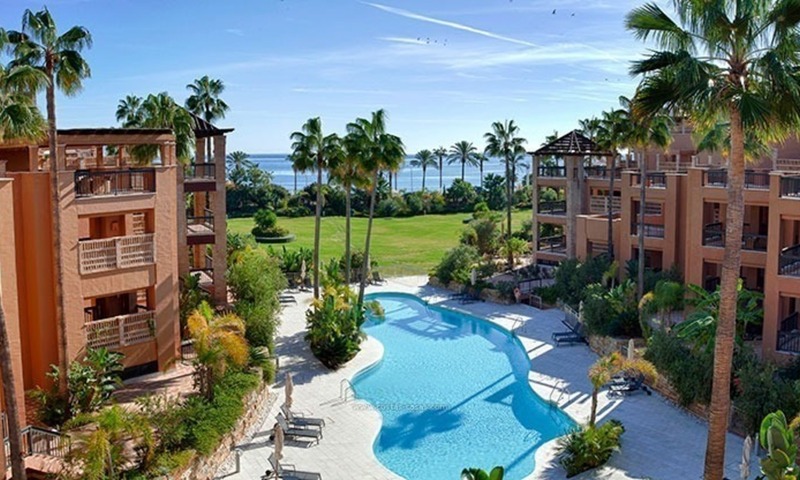 Very nice beachside Penthouse apartment for sale on the Golden Mile in Marbella This penthouse is located in an exclusive first line beach complex with tropical gardens, swimming pools, 24h security and within walking distance to all amenities. This property includes a nice bright and spacious living room with access to a private terrace with views of the gardens and swimming pools. There are 2 guest bedrooms that have access to another west facing terrace with some sea and garden views, a guest bathroom and a master suite. This townhouse project has an exceptional location and features. 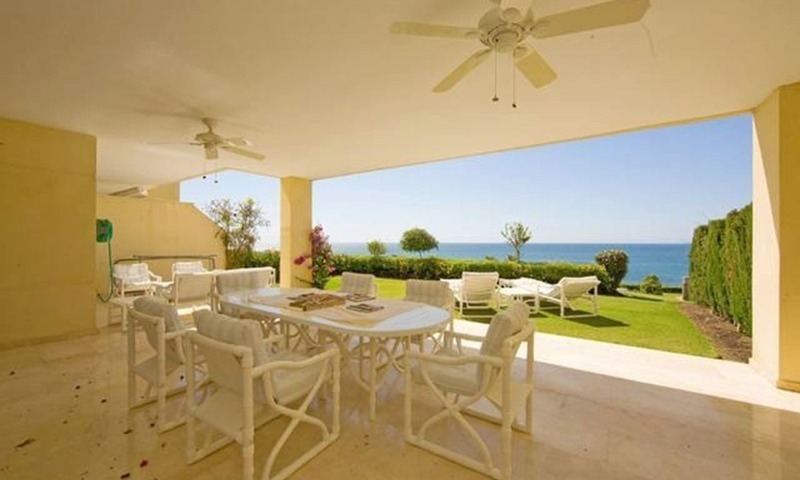 With views to the sea, the houses are oriented to the south, southeast and south-west. 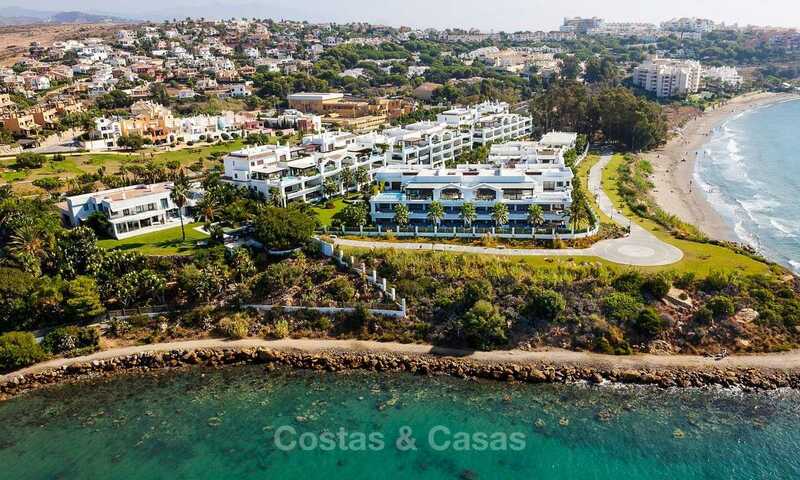 The complex offers private access to the beach and total privacy, it is surrounded by large green areas and has the most modern and exclusive facilities.